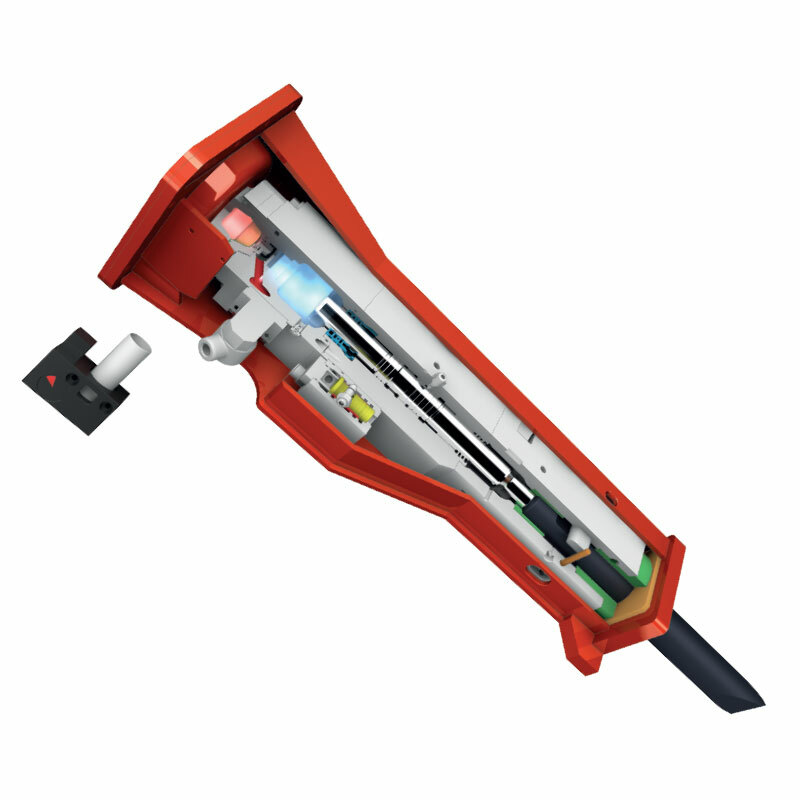 The key of high standards in power and reliability of Promove hydraulic breakers is enclosed within the solid casing that protects its internal components. Looking at the parts breakdown of an hydraulic breaker is like entering the heart of these machines to understand how all the “organs” work in perfect harmony. The blows energy-frequency control valve, in the same time, allows the right amount of energy to be combined with the exact number of strokes necessary to obtain an optimal result. 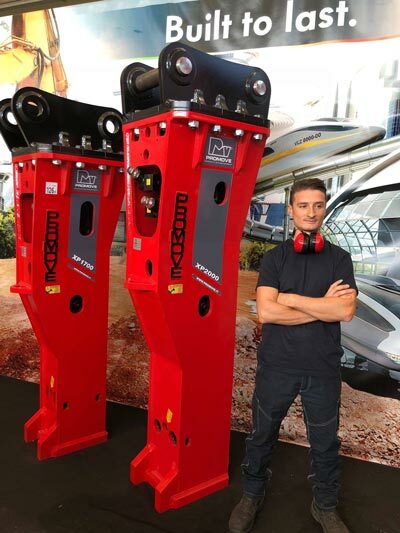 In this way the operator can easily optimize the productivity of the hammer according to every situation and type of work. To adjust the working pressure of the hammer there is another control valve. With only two moving parts, reliability and performance are truly unmatched. The hammer is also equipped with a blank firing prevention system, which allows the hammer to work only when it is pressed to the ground. This allows to reduce the stress of tie rods, tools, tool retainers and lower head, significantly extending the life of the breaker. The hammer works in the absence of residual blows, because it stops immediately as soon as the operator releases the command or lifts the breaker. 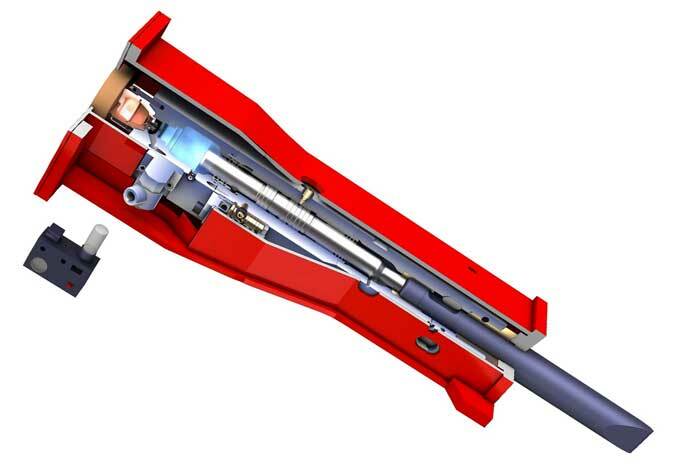 The nitrogen chamber positioned on the head of the piston is the “power” of this breaker: it absorbs the pressure peaks, reducing vibrations and returning energy to the percussion. 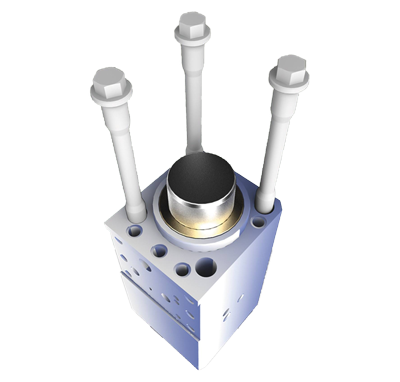 The tie rods are fully encased in the square section cylinder perfectly closing the support between the cylinder and the lower and upper heads. As a result, the durability and resistance of the tie rods are greatly increased. Everything is enclosed in the heavy-duty silenced casings with a system of shock absorbers that completely isolate the indoor unit. Vibration and noise are exceptionally low and the solidity is guaranteed by the heat treatment to which all the components of the breaker are subjected. Previous PostDO NOT MISS OUR NEXT BAUMA! Next PostChoose Promove, choose the best.